Vidhya Vihaar, a Jain temple in Palitana, a place filled with true devotions in the foothills of Shatrunjaya hills, is a pilgrim for the Jain devotees looking for an experience of pure holiness. Now you can experience this devotional and holy atmosphere by residing in the Vidhya Vihaar temple’s Dharmashala. This dharmashala can be a perfect abode if you are looking for a comfortable stay in the solace of God. You can choose from a number of different rooms at the dharmashala by Vidhya Vihaar with facilities that can provide you with luxury and happiness. Whether you are looking for an AC room or playground for kids, Vidhya Vihaar offers you everything. Let’s have a brief look at the types of rooms available at the dharmashala. This is a spacious room with two beds which can provide a comfortable stay for two people and is equipped with all the basic facilities. In this double bed room you have an option for getting a non-AC or an AC room depending on your needs and use. Get all the details of the double bed rooms to book now. Triple Bed roomIf you are traveling with family and want to stay together then you can go for the triple bed room. You get three beds, lot of space and a perfect view to find peace while you enjoy your stay. If you want to go for a luxurious one then go for the AC room or just pick the non-AC room if you are just planning to do a night stay and travel all day long. Four Bed roomPerfect for a family and a huge space to roam around in the lap of Shatrunjaya hills, what else would one wish for. You can go for AC or non-AC rooms, this place will surely offer you a stay worth making memories. 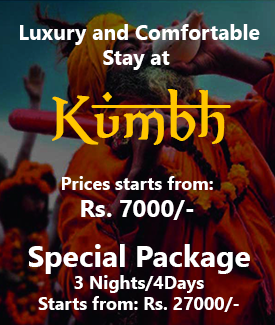 Four comfortable beds, basic facilities and a devotional atmosphere that can bring you closer to God. Four bed room is the one if you are out there for pilgrimage with family. If you are wondering about the amenities provided by dharmashala at Vidhya Vihaar then no need to browse through the web, here are all the facilities enlisted for your convenience. Plan your stay with Vidhya Vihaar in Palitana to detach yourself from the material world thereby enlighten your body, mind, and soul.